Health includes several different categories. There’s public health, disease, pollution, and nutrition, just to name a few topics. Educators who want to teach health education must pass the Praxis II Health Education (5551) Exam. 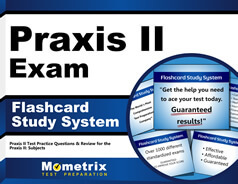 Several states across the country use the Praxis tests as part of their licensure process. Any educator who wants to teach health from elementary through senior high school must pass this exam, and it’s a tough one. This guide provides a test overview and resources that can help you prepare for this exam. What is the fee to take the Praxis II Health Education (5551) Exam? There are 120 selected-response questions on the computer-based test. How much time do candidates have to complete the test? Health Education as a Discipline will test candidates’ knowledge on topics that include theories in health behavior such as behavioral change theory and change stages; health-related data including survey and, research; student health needs programs; legal and ethical issues such as privacy law and confidentiality; and database sources such as peer-reviewed journals and the American Medical Association. Health Promotion and Prevention of Injury and Disease. Topics covered here include infectious, congenital and other communicable and noncommunicable diseases; chronic and communicable disease prevention; healthy lifestyle goal setting and decision making; muscular strength, endurance, body composition and other areas of fitness; nutrition; health risk prevention; and personal hygiene. Healthy Relations and Mental and Emotional Health includes conflict resolution and other healthy interaction skills; family dynamics, personality traits, and other factors that impact relationships; listening, feedback, and other interpersonal communication skills; human sexuality; and abuse and violence issues. Community Health and Advocacy topics include disease reporting, immunization, and health and safety laws and regulations; health careers; pollution, energy conservation, and other environmental health issues; health trends and literacy and other consumer health issues; using various means, including verbal and electronic, to deliver health care messages; role of the health educator; and advocating for health advocacy in the community, at conferences, and events. Health Education Pedagogy topics include learning needs assessment for individuals and diverse groups; aligning curriculum to national, state, and local standards; student learning assessments, such as formative and summative; managing the classroom; performance indicators and lesson planning; and teaching via the reflective process. An independent testing company that has hundreds of offices across the country delivers the Praxis tests to candidates. Check the exam website for the test location closest to you. When will I be able to see my test results? That depends on the test you take and where you take it. Some states offer automatic test results while others don’t offer results right away. Check the test materials to see when your results will be available. What is the test passing score for the Praxis II Health Education (5551) Exam? Each state sets its own passing score, so check with your local jurisdiction. What identification should I bring on test day? Please bring a driver’s license, passport, or another piece of government-issued ID that has a photo and signature. You should also bring a secondary piece of identification, like a student ID, and your admission ticket. On test day, should I arrive at the test center early? Yes. You want to give yourself plenty of time to check in, so it’s best to arrive at least 30 minutes before your scheduled test time. Am I allowed to bring my mobile phone into the testing room? No. Mobile phones and electronic devices are among the items candidates cannot bring into the test room. Check the test center rules for the complete list of prohibited items. What study materials will help me prepare for the Praxis II Health Education (5551) Exam? Mometrix has the study material you need. 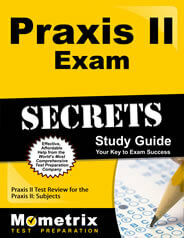 Our study guide introduces the Praxis test with an assessment explanation and more. The guide also provides a general strategy review with tips on benchmarking, answer selection, new information, and more. Our flashcards will help you learn and prepare via repetition, a valuable learning technique. Since the cards are easy to take with you where ever you go, it’s easy to study anywhere and anytime. These are excellent study tools.